Maps! We love em. Whether it is to highlight points of interest or if it’s purpose is utilitarian, nothing gets your guests into a celebratory mood like a map save the date…especially for a destination wedding! 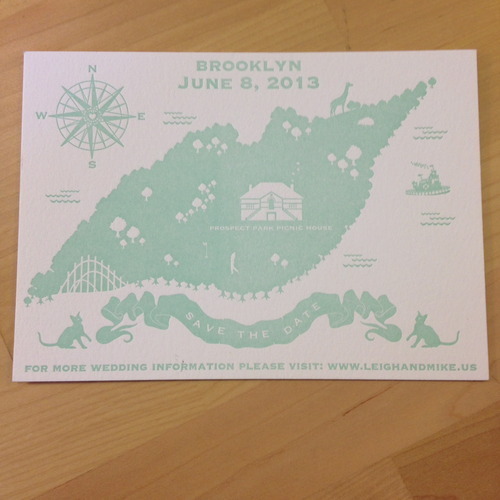 Here’s one we recently did for a Brooklyn bride getting married in the Prospect Park Picnic House. Love the golfer and Coney Island Cyclone!